I still wasn't sure if I wanted to blog about this, but several people have emailed and asked for more pictures. Last weekend was so tough. I mentioned it here. I was nervous and excited to meet Julie and Heather. I knew my time with them would be limited. And it was. The real reason they came was for the dedication of Cora's Playground. If you're newer to my blog, Cora was the daughter of some friends, The Macs. She passed away recently after a very brief 3 week battle with cancer. She was barely 11 months old. 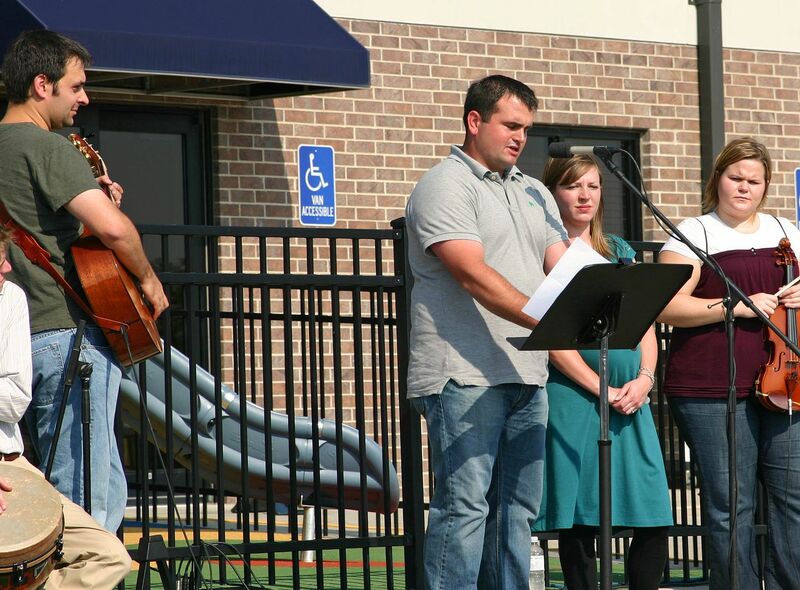 Immediately Joel and Jess made the decision to open a playground in her honor. Julie began donating part of her etsy sales to help raise playground funds. When the project became too big for her to handle, Heather stepped in and carried on with the organization. Both ladies did an absolutely amazing job. When I had the opportunity to write the article for Etsy, I panicked. I literally had about 10 minutes to pull it together. They had a tight deadline. I wasn't even sure if it was the right thing to do. I'm not good with words. Could I write an article for a blog that gets a million and a half hits per month? Would I be exploiting this horrible tragedy? I'd never want to take the focus and put it on myself. Ever. I stopped and said a quick prayer and felt a complete peace. God was telling me to just write it. And so I did. In my hurry, I forgot to add Heather's contact information. So as emails began pouring in, I kept sending people in her direction, hoping she could still handle the hundreds of sellers who were jumping on board. And she did. She handled it all beautifully. And so now it stands. A place for children to play. 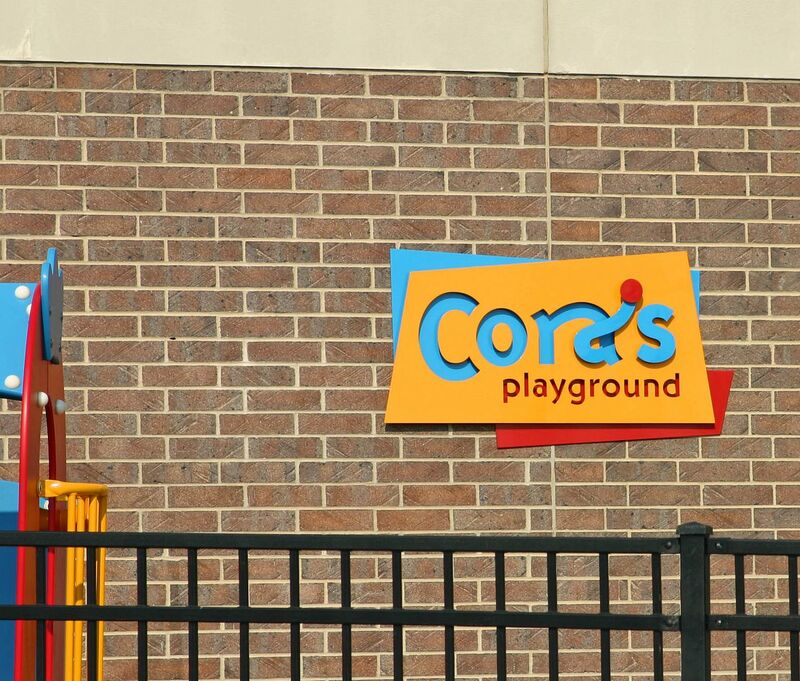 And ask "why is this called Cora's Playground?" A place where Cora will never get to play, but her siblings will. A place where Joel and Jess will smile through tears, every time they see it. 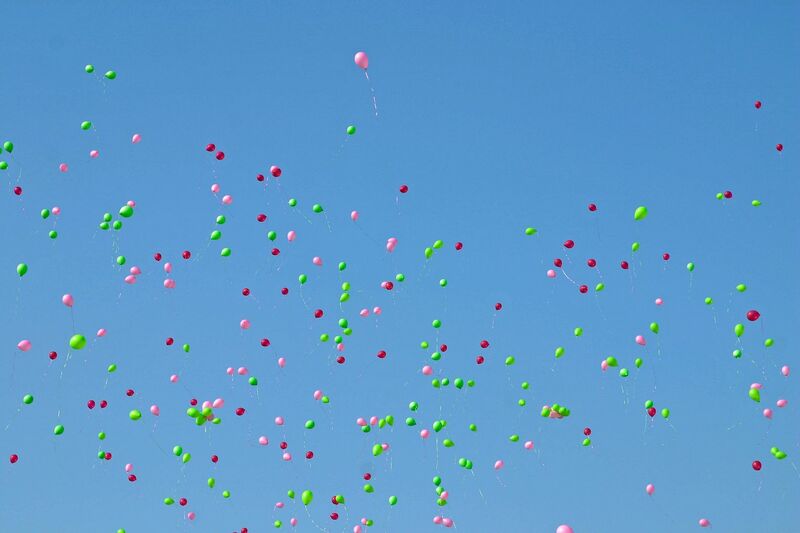 At the dedication, 341 pink and green balloons were released. Cora was on earth 341 days. But in heaven for eternity. We don't understand, but we know that God is in control. I can't imagine going through life not knowing Him. And even in the darkest hour when you question if there really is a God, and why He would allow something like this, it's better to have Hope than be without. Enjoy this Fall Monday. Hug your loved ones. Beautiful...Words can't describe what they must have gone through I'm sure. But we will all understand one day. that was so heartfelt and beautiful. thanks for sharing! beautiful......and I can not imagine not knowing HIM either! Thank you for the follow up on the playground. This story has touched millions. that was really sweet, beki! great job. This is one of my favorite blogs that you have done. Please send a link to the Etsy write up. Great Stuff Beki! Hey Kash! The link is in the blog post. Click where it says "article for Etsy." 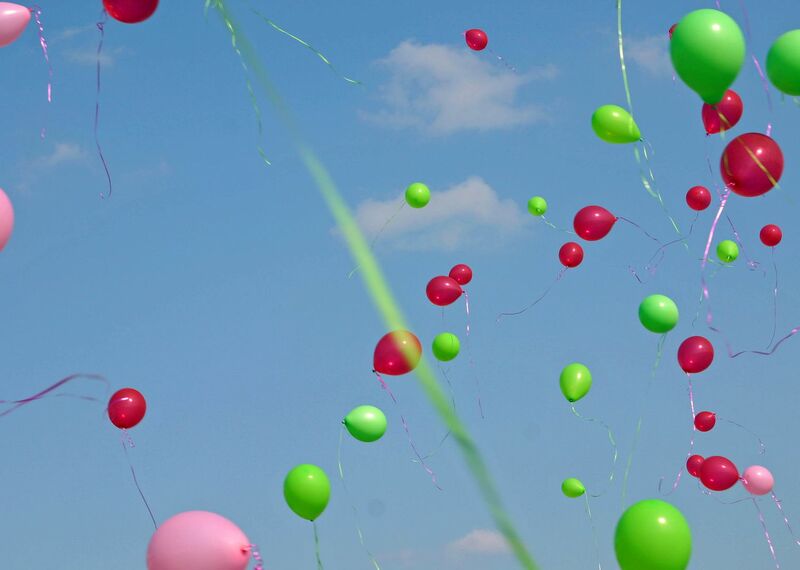 What a special dedication in honor of such a special little girl. You did such a wonderful job with that write up. Heartbreaking, yet inspiring at the same time, thank you for sharing Beki. I am so drawn to all of the blogs from Newton, KS. What warm, caring people you all seem to be. 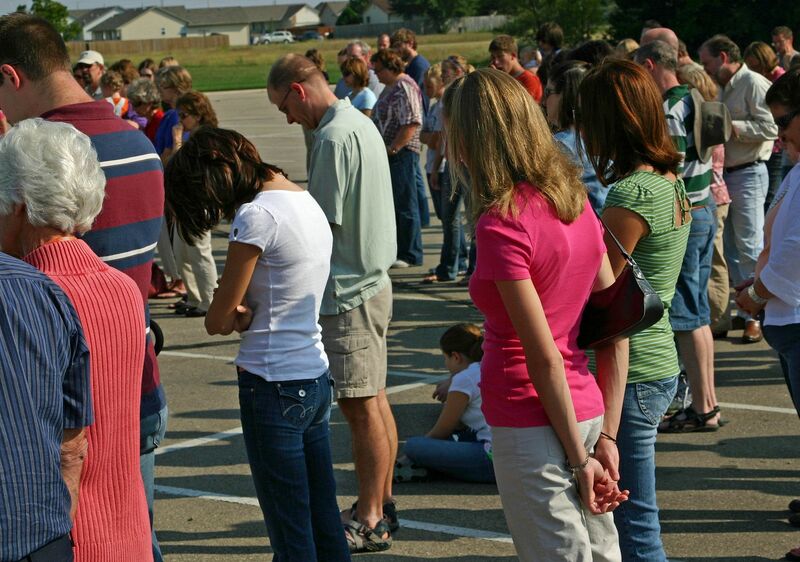 I think about and pray for the Macs daily. Keep up the great blogs. Beautiful, heartfelt post. Made me cry for the Macs...again. So glad we have the Lord and the hope that comes with Him. ok, i'm crying now. this is a beautiful post. i think of Cora every day. Beautiful post. I'm sure you did an outstanding job. What a wonderful idea of creating a playground where so many will enjoy for years to come. and seeing the kids on the playground make me cry, too, but in a different way. This is beautiful! 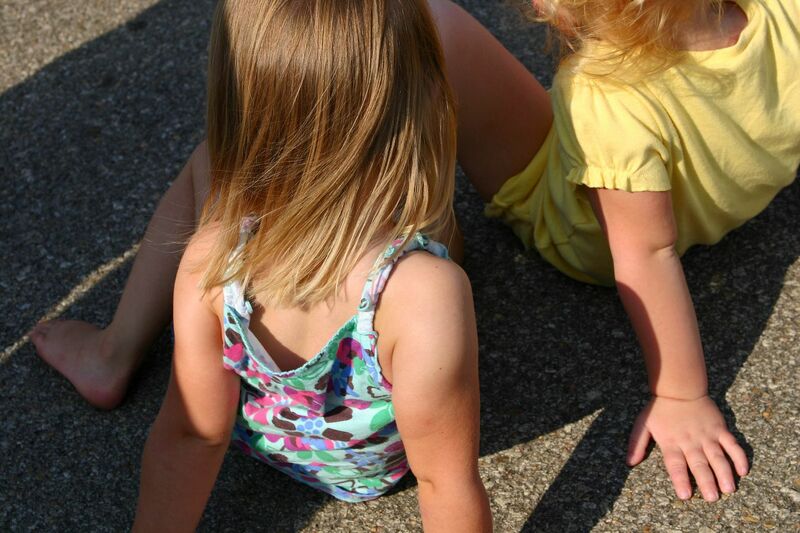 It makes me so thankful of my little ones and to cherish each moment I have with them b/c we aren't promised tomorrow. 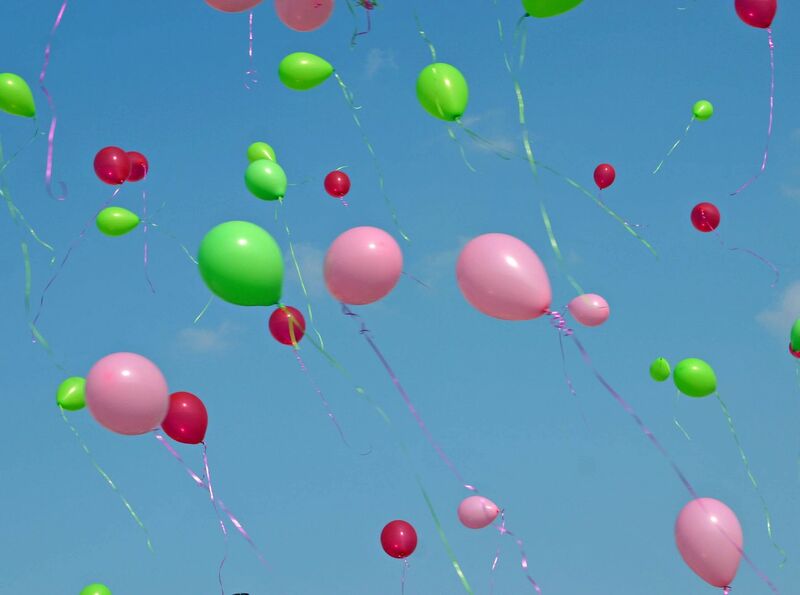 The balloon photos are so touching. My youngest daughter is just a month or two younger than Cora was and I cannot imagine the heartache this couple has dealt with. My heart goes out to them but praise Jesus that they have remained so faithful to HIM through it all! And I love what it stands for. He is amazing, isn't He??? Only He knows why...Cora was a BEAUTIFUL little girl...and will be in so many hearts forever!!!!! Well said Beki, as always! You most certainly are good with words, and this was lovely. They are blessed to have this community of support...may their Father in heaven continue to carry them as they heal and their family grows. thank you for opening your heart & sharing this story...I'm sure Cora was a gift from God to everyone who knew her. Glad you wrote about it! Love the playground! Thank you so much for sharing the day with all of us who couldn't be there. It brings me to tears, but you proclaimed the HOPE of Jesus beautifully. THIS is why your blog is the last one I read for the day before going to bed... because you're such a light. You're a really wonderful person, Beki. So glad we're friends. That was beautiful. And the reason I follow your blog is because you are an outstanding photographer AND writer. I'm sure you did a magnificent job for Etsy. My eyes are filled with tears and my heart with hope. Blessing to you and yours!